The LG G6 has been confirmed for a February launch suggesting it will be announced at MWC 2017 in Barcelona. A video on LG's YouTube channel entitled “Wish list for the ideal smartphone” ends with the words “Imagine how your wishes will all come true” and then February 2017. It suggests the next flagship phone will be announced a full year after the launch of the LG G5. The video also features people on the street talking about the features they’d like to see in their phone, giving us a hint at what we can expect LG to include on its next flagship phone. According to what people asked for, it’ll have a big screen, but won’t be a big phone. You’ll also be able to use it in one hand, it’ll be comfortable to hold and it’ll fit into your pocket easily. 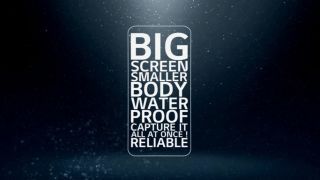 It also suggests the LG G6 will have a waterproof design – we’ve never seen that on an LG phone before, and it also suggests the LG G6 won’t be a modular phone like the LG G5. LG’s Chief Technologist Skott Ahn told the Wall Street Journal the design of the LG G6 probably wasn’t going to have the innovative swappable design from last year's phone. The video also hints the LG G6 will put a big focus on the camera with one customer saying she wants to “capture it all at once” and the phone is set to be “more reliable” too. Whether LG is going to be able to achieve this ticklist is yet to be seen. So far there’s been no hint at what the phone will look like or any exact spec, but it won’t be long until we hear word at MWC 2017.